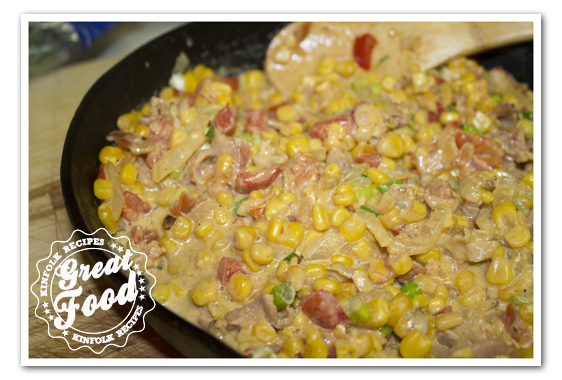 Maque choux, pronounced mock shoe, is a vegetable side dish popular in the South region of the United States, particularly among the residents of southern Louisiana. The ingredients commonly include corn, onions, green bell pepper and tomatoes. Some recipes call for the addition of garlic and celery. All the ingredients are normally braised until they soften and then hot sauce or cayenne pepper is added to enhance the flavors of the vegetables. 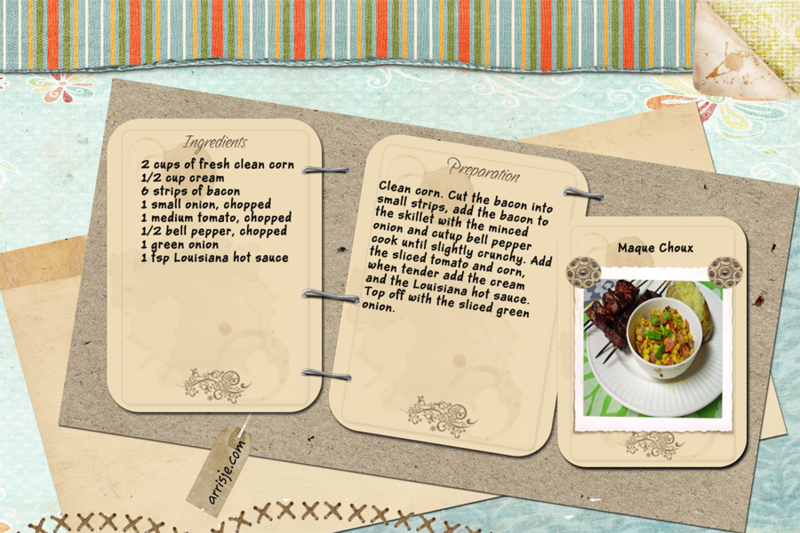 The origins of the term maque choux are not clearly defined. The phrase can be traced to Cajun French and may have been influenced by the word machica, which is a Spanish term for a traditional dish of toasted corn meal. 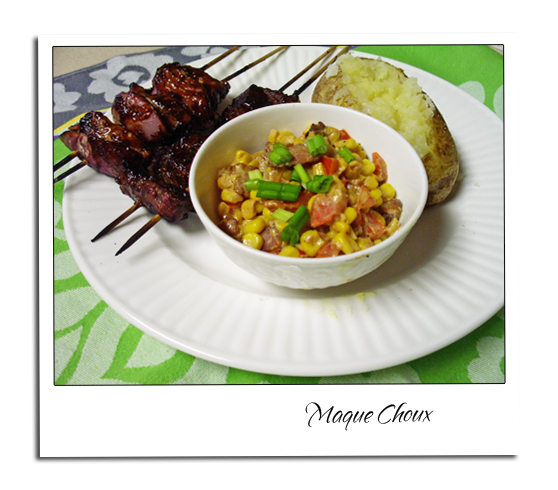 Other sources cite the Cajun French word maigrchou, which means thin child, as the root for the term, based on a variation of maque choux that is commonly thinned with milk or cream and resembles a soup. Another possible origin of the phrase is moque-chou, which when translated from the French language means mock cabbage, indicating that cabbage may once have been included in the recipe. Clean corn. Cut the bacon into small strips, add the bacon to the skillet with the minced onion and cutup bell pepper cook until slightly crunchy. 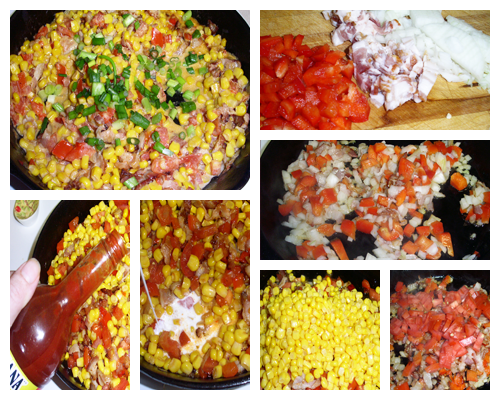 Add the sliced tomato and corn, when tender add the cream and the Louisiana hot sauce. Top off with the sliced green onion.